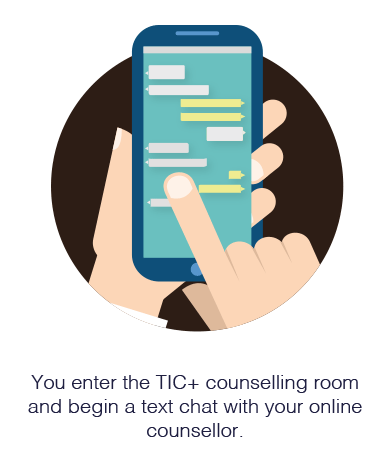 Online counselling is a 1-2-1 instant text chat with one of our qualified counsellors that’s a lot like texting, and you can do it on your computer, phone or tablet. Online counselling sessions are weekly with the same counsellor. Appointments will be arranged for a day and a time that suits you. If you live in Gloucestershire, and are between the ages of 11 and 21, you will first need to contact us to let us have a few details. If you find it hard to talk on the phone you can ask someone you trust to do this for you. Or, you can give your details by text chat to our online receptionist during our office open hours. 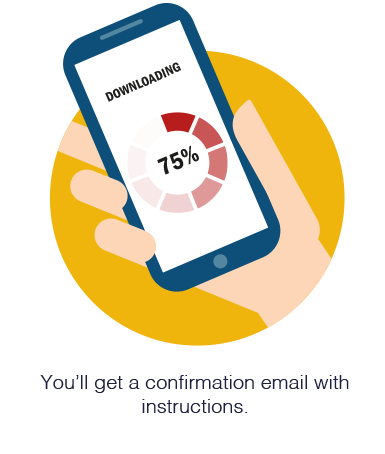 Once we have your details we’ll send a ‘how to’ guide with instructions to start your online counselling. What information is needed to make a referral for online counselling? Can I choose a lady or man as my counsellor? This may not be possible, or it might mean a longer wait for counselling. If there is an important reason why you would prefer a male of female counsellor let us know and we will try our best to get you the counsellor of your choice. When is the online counselling open? 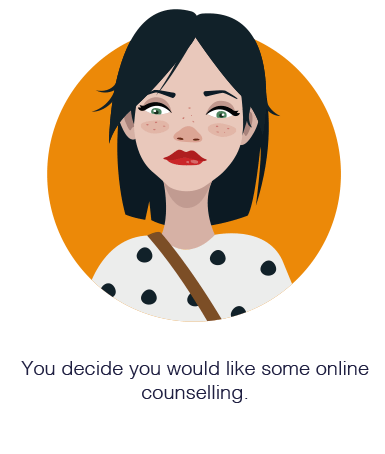 Online counselling, sessions are weekly with the same counsellor. Appointments will be arranged for a day and a time that is convenient for you. How secure is the online counselling? 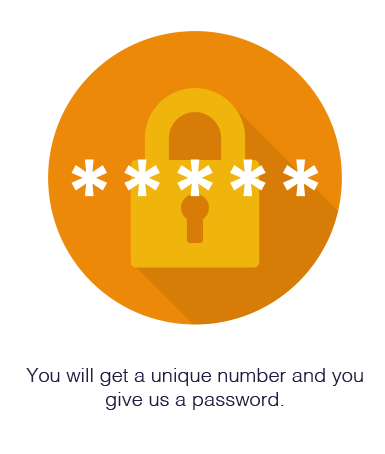 We’ve done everything we can to make sure the conversations you have with our counsellors are as secure as possible. The conversations you have with us are scrambled when they’re sent across the Internet, so it’s very unlikely that information will fall into the wrong hands. If you’re under 16 years of age, we prefer it if a parent or carer knows, but if you don’t want anyone to know, that’s OK; just tell us when you contact us. How long is the online session? 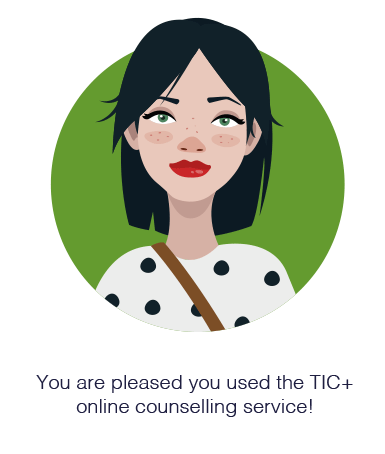 Online counselling sessions take place weekly and will last up to fifty minutes. What happens if I disconnect during a session? 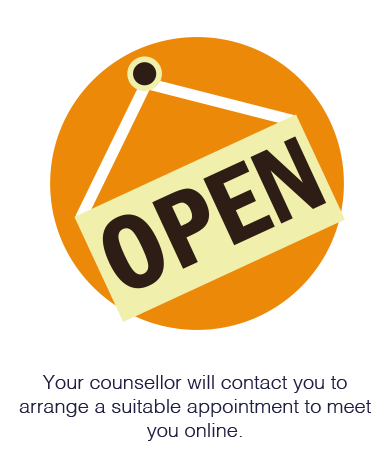 Ideally we would like you to let us know if you’re leaving the counselling session, but this may not always be possible. If you get cut off or have to leave the conversation unexpectedly, we’ll allow some time for you to reconnect and re-join the chat. We won’t be able to keep your slot open indefinitely as there may be other young people waiting. Do you keep a copy of the chat? We don’t keep a word-for-word record of what you say. We just keep a brief written summary. This means you don’t have to go through everything again next time you speak to us. The only time we might need to keep a full record of what you tell us is if we believe you or another person is at serious risk of harm. We keep these notes securely for seven years or until you reach the age of eighteen, whichever is longer. If you want access to your notes, you’ll need to send us a request in writing. 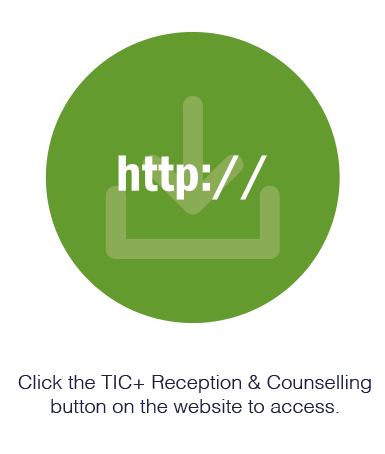 Online counselling is free at the point of use for all children and young people using our service. 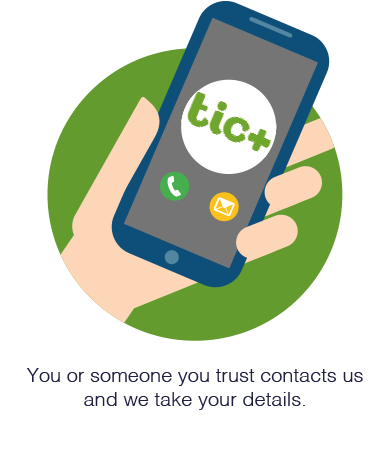 If you have anything you’d like to tell us about your contact with TIC+, we’d like to hear about it — please use the feedback form. If you’re unhappy about any aspect of our service, please let us know as soon as possible using the complaints form.